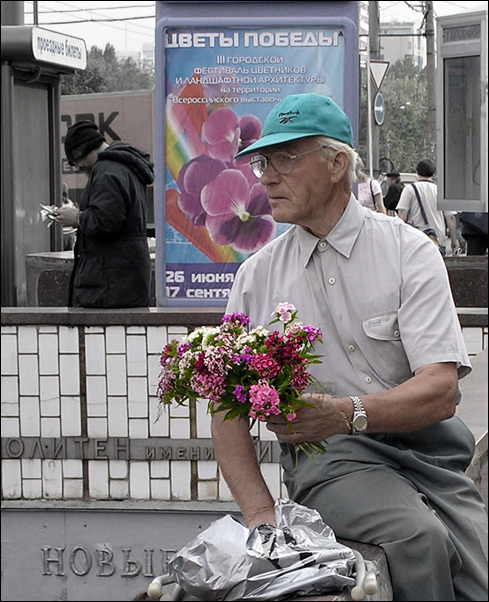 Photo "- Buy, please, flowers!.." А может он даму ждет на свидание? I think that this man doesn't sell flowers. No. I think that he is looking for "flowers"!! !